I'm not an expert with either of the software packages discussed here. Once I know what I want to do I ask the Google oracle for help and it always provides. If you have questions, you should ask Google. There are a lot of videos on YouTube, and some books are available. The learning curve is steep. 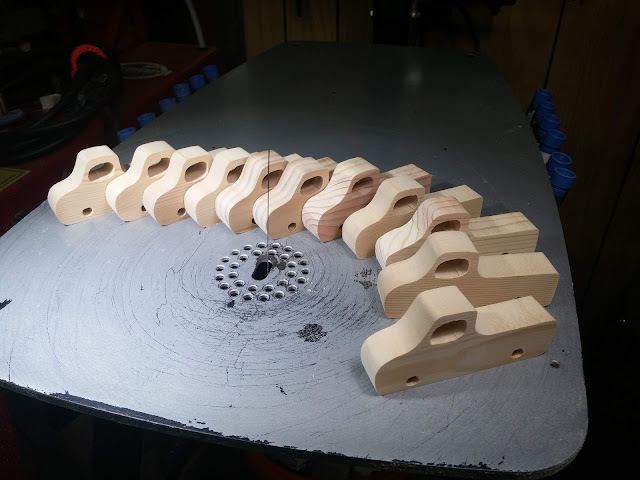 If you are only going to make one toy and don't intend to make batches or modify the patterns, it may not be worth the effort to learn about these tools. This isn't a tutorial. It is a simple explanation of how I use Gimp and Inkscape in my toymaking. The first step I take when making something for the first time is to convert the patterns to SVG. I load the bit map patterns into Gimp and clean them up. The bitmaps get copied into Inkscape and converted into the SVG format. First I get sharp, precise lines when you print the patterns. When you print from bitmaps the edges of the lines are jagged and fuzzy. If you want to enlarge the pattern, it gets worse. With the SVG format, the jagged edges disappear. I can enlarge them or shrink them to the size I need with no loss of detail. I can change the color of the pattern. Some people like to use red lines to help distinguish the blade from the line. I can get rid of the junk that I don't need like shading, colors, grain lines and text that get in the way and sometimes confuse things or make it hard to see the pattern when I am cutting. They also waste toner. Want to fill the page with patterns? I have made pages of Play Pals and animal cutouts that I print and get whole pages full of patterns. Perhaps 20 on a page. One of the things I have been experimenting with is fitting the patterns to the size of the wood I have in Inkscape. 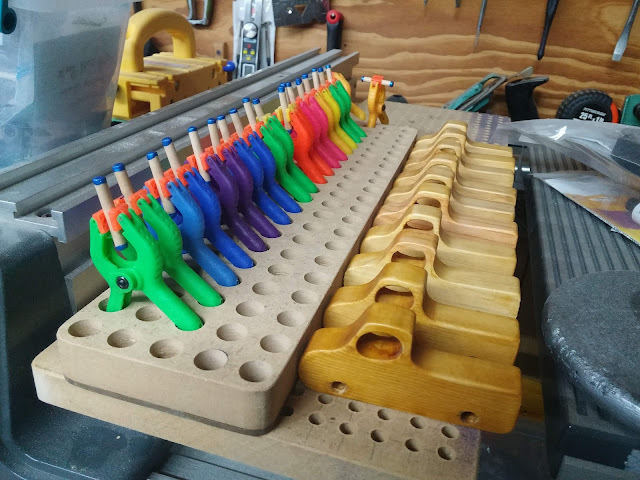 I paste and arrange the patterns to fit the wood I am using and print — no more struggling with organizing patterns on my wood with glue on them. Efficient use of what would be waste is much easier. For example, when I am making my dragon puzzles, two large corner areas are just big enough for a small car or animal cut out. In Inkscape, I paste the patters into these corners. When I'm done cutting that piece of wood, I have a puzzle and two small toys. Do you want thicker lines so you can see them better? Not a problem. The same is true for wanting finer lines. I'm not too good at this yet, but I'm working on it. An issue I have not confronted yet but plan to in the future is resizing patterns where the parts need to fit each other precisely. A simple example of this would be a puzzle where you want to make the parts from different colors of wood. Intarsia and segmented scroll saw art would be another. Gimp and Inkscape are primary tools in my Toy Makers toolbox. Maybe they should be in yours. I've been working on a custom order this weekend. All ways make more than I need for the order because something might happen. I could break something or wood being what it is might split, crack or fall apart. I started this batch with 14 trucks I'm down to 10. I expect 10% or greater loss when working with this kind of pine. I once dropped a toy covered with wet paint in the dirt. If I find any defects the toy gets scrapped. I have played around with repairing them, but in most cases, it's easier and faster to toss them and make another toy. Making extra toys saves time when something goes wrong. A customer purchased one of my Play Pal Pickup Trucks from my Etsy shop and asked for more. 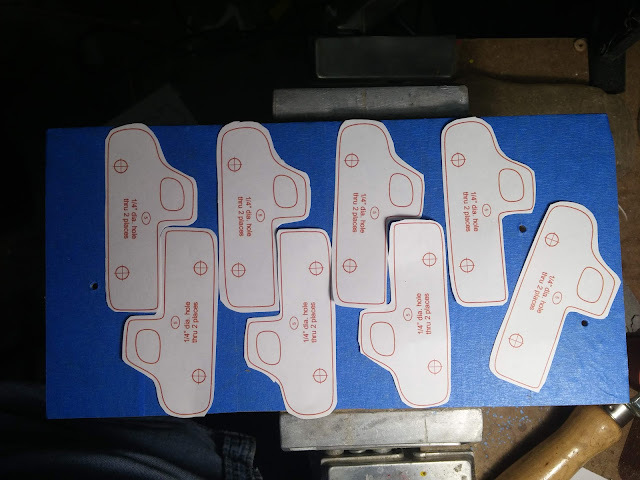 Trucks cut and ready for sanding. I started with fourteen toy trucks, and already I'm down to eleven. The first two trucks are darker because I used the dip and wipe method. I didn't like the results, so I went back to using a brush. I didn't like this method because it is messy, wastes shellac and I have to brush them anyway to get rid of drips. The dip and wipe method might work better with thinner shellac, but I didn't have a proper container on had to experiment with. The finish is one coat of shellac hand rubbed smooth with steel wood and wax. 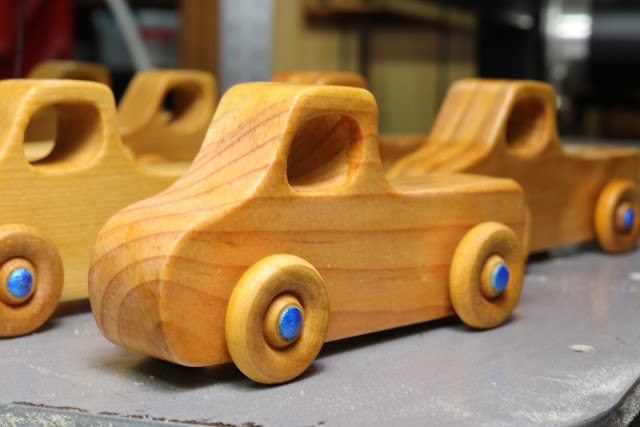 Wooden Toy Truck, Pickup Truck from the Play Pal Series - Complete and ready to go.